4 Beds 4 Baths 1 Partial Bath 3,990 Sq. 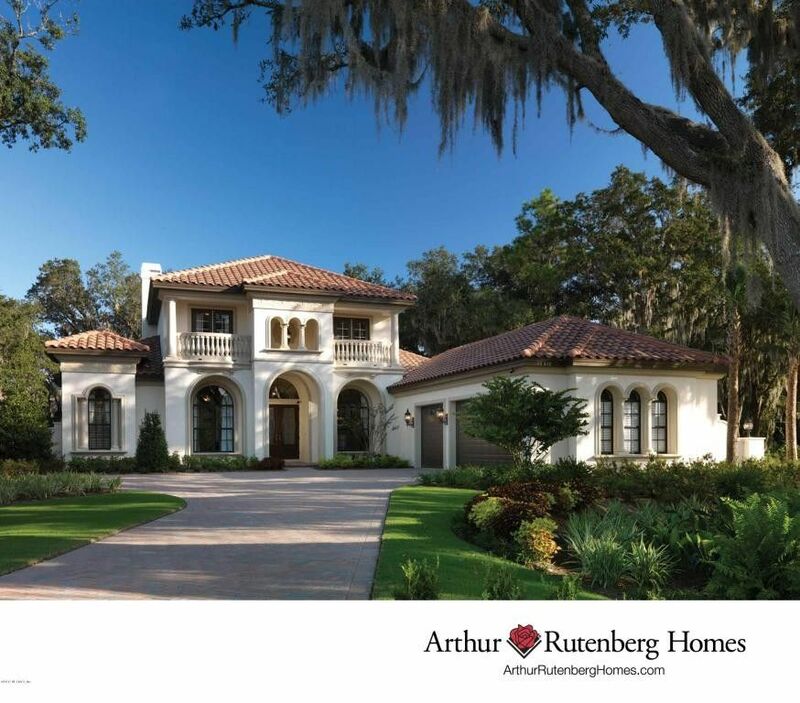 ft.
Thru Oct. 31st, 2017 Arthur Rutenberg will offer $20,000 in additional upgrades at no cost! This home is perfect for family get togethers or for entertaining friends with its versatile floor plan & ideal outdoor living space. Soaring ceilings, extensive use of glass throughout & gorgeous architectural detail compliment each and every room. First floor features formal areas, den, kitchen, morning room, leisure room, luxurious master suite, and a secondary bedroom/ensuite, ideal for parents or visiting guests. Upstairs you will find 2 spacious bedrooms with private balconies and a full bath. Don't miss out on the balcony just off the Club Room with great views of the lake and marsh. Pure elegance, perfectly designed.